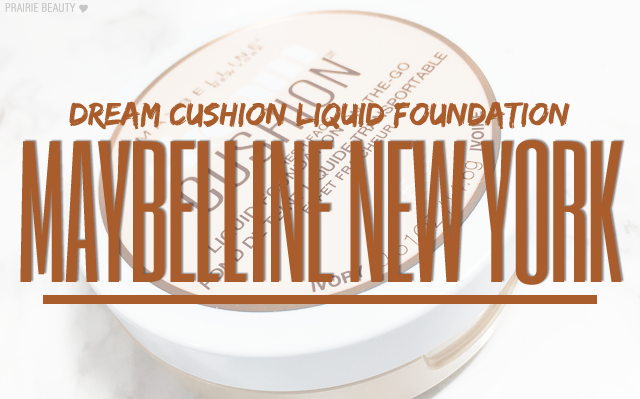 I've gotta be honest, I wasn't actually planning on picking up the Maybelline Dream Cushion Liquid Foundation because I kind of felt let down by cushion foundations in general and was a little bit sour on the ratio of price to volume of product. However, I did find it on sale and after swatching a tester decided that I might as well give it a go. I can't overstate just how glad I am that I gave this a chance! Reimagine complete, luminous coverage with Maybelline’s NEW Dream Cushion Liquid Foundation. Available in 8 shades, this innovative liquid foundation puts fresh-faced perfection in the palm of your hand. 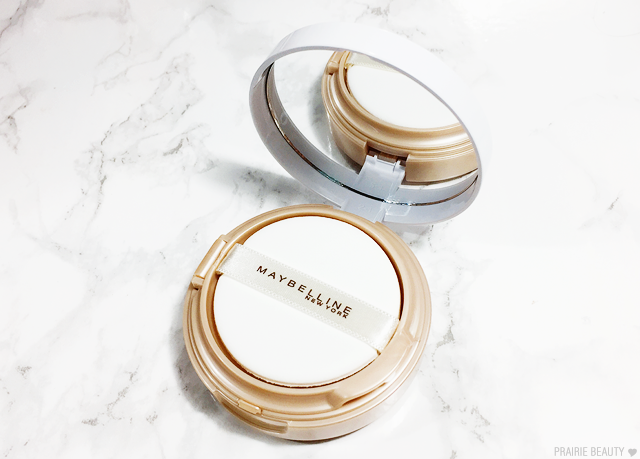 It's kind of impossible to review this without comparing it to the L'Oreal Lumi Cushion - which I have to admit, I liked at first but had some pretty big problems with personally. It was actually because I didn't like the Lumi Cushion that I almost didn't pick up the Maybelline Dream Cushion. What changed my mind was seeing some good reviews and getting to swatch it in store and seeing how much coverage it had. While I've heard some people say they think these two products perform the same, I have to disagree. 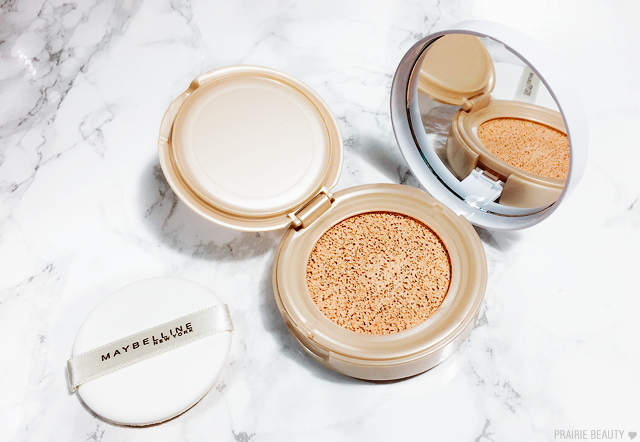 The biggest differences I notice between the L'Oreal and the Maybelline cushion foundations are the coverage and finish. I found that the L'Oreal coverage was sheer to light and could be built up to a light medium. I find that with the Maybelline I'm getting quite a bit more coverage. While I don't think you'll ever get full coverage with a cushion, this foundation applies at a medium coverage and can be built up a little bit to get a really even looking base. 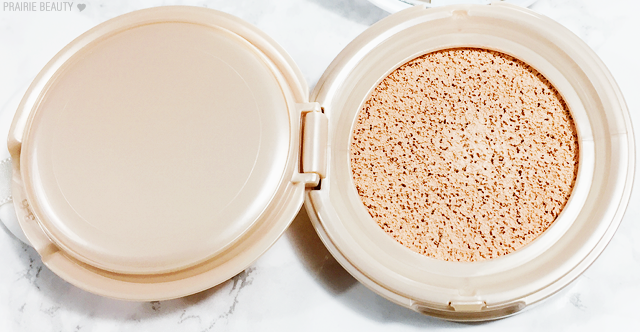 The L'Oreal Lumi Cushion really lived up to the luminous claim and I actually find it almost too dewy on the skin, while this one has a more natural finish. I wouldn't say it's matte, but instead it just looks skin like. The texture of this foundation is really lightweight and once it sets on the skin, I honestly really don't feel or look like I'm wearing makeup - which is fantastic! While this foundation does set, I don't find it to be particularly long wearing. I would say I get about 4-5 hours out of this before I notice visible fading. 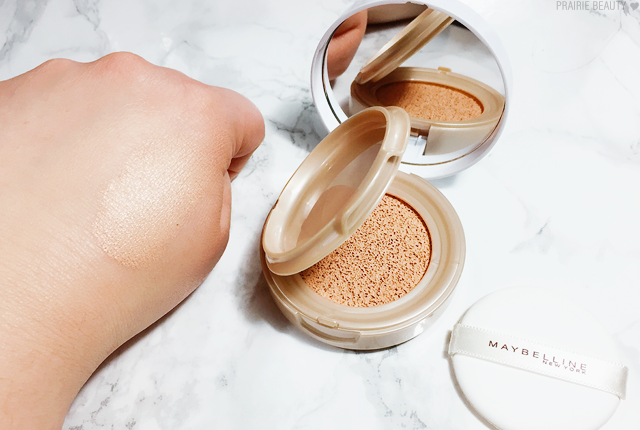 Of course, because this sets without the need for a powder (on my normal skin type) and this is a compact that you can throw in your bag, it's really easy for touch ups. That said, I much prefer to apply this with a beautyblender than with the accompanying sponge because I feel like it helps to blend it quite a bit more easily, so I don't know how likely I personally am to throw this in my bag. Overall, I really do enjoy this compact. I feel like this formula avoided a lot of the things that I didn't like about the L'Oreal cushion and this one definitely suits my taste. I would prefer if it came with a replacement sponge or a tube of the liquid so that you could resoak the cushion, because even though this one is a little bit cheaper than the L'Oreal one, it's still quite expensive for 15ml of product and I actually have found that they tend to get dry fairly quickly. 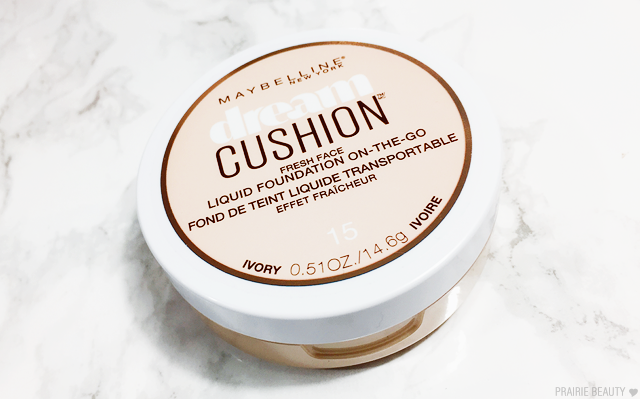 If you've been on the fence about the Maybelline Dream Cushion Liquid Foundation, I would say it's really a matter of taste and preferences, but I think it's a pretty great product and I will likely repurchase it.